Americans in Burgundy Scott Wright, the owner of Scott Paul Wines, is producing a wine from Burgundy. A single barrel of 2008 Chambolle-Musigny Les Bussiéres will be bottled in December 2009 for release in early 2010. As a Chambolle freak, Scott is understandably excited about the first Scott Paul Chambolle. Scott Paul Wines is located in Carlton, Oregon and is the only winery I know of offering Burgundy wines both for sampling and for sale in the tasting room. Listen to an interview of Scott Wright in 2008 on Grape Radio (www.graperadio.com). Ray Walker is a 27-year-old Burgundy lover who left his successful career in finance a few years ago to pursue his dream. After learning winemaking under Ed Kurtzman of Freeman Cellars and August West, he immersed himself in the French language and culture to prepare for a career as a negocient in Burgundy. He left February 8 for Burgundy to lay the groundwork for his new Burgundy label, Domaine Ilan. Listen to an interview with Ray on Grape Radio. Walker’s website is www.domaine-ilan.com. Sebastopol Hills Noted Pinot Noir authority and author of two reference books on Pinot Noir, John Winthrop Haeger, has recently described a well-defined subregion of the Russian River Valley. Called Sebastopol Hills, the area is marked by rolling hills and is located southwest of Sebastopol between the Petaluma Gap and the Russian River Valley proper. Many winemakers who source grapes from this region feel that the Pinot Noirs grown here are distinct from those originating in the nearby Green Valley, Petaluma Gap and true Sonoma Coast regions. The Pinot Noirs are said to have darker fruit and more minerality, with more of a masculine bent. Haeger reports that in tastings, Sebastopol Hills Pinot Noirs demonstrate “A preponderance of earthy and savory elements with unusual notes of salt marsh, iodine and pepper, and undertones of sober, dried fruit - a marked contrast to the exuberant fresh fruitiness that often typifies Russian River, and the wild, exotic, garrigue-like flavors that often mark wines from the true Sonoma Coast.” Examples are Halleck Hillside Cuvee Sonoma Coast Pinot Noir, Balletto Burnside Vineyard Russian River Valley Pinot Noir, Inman Family Thorn Road Ranch Russian River Valley Pinot Noir and Vergari DuNah Vineyard Russian River Valley Pinot Noir. Read the full story at www.sfgate.com (published August 29, 2008). Common rootstocks There are around 20 rootstocks available for commercial use in vineyards. 1103 Paulsen and 101-14 account for 80 percent of plantings. They both are resistant to phylloxera and nematodes with 101-14 being the most immune to nematodes. 101-14 is low to moderate in vigor and 1103 is moderate to high in vigor, depending on the soil. Vineyard Walks Zephyr Wine Adventures offers guided walks in several wine regions that are combined with private wine tours and tastings, walks through vineyards and meals. You don’t have to be a strong athlete to participate. The next Sonoma Vineyard Walking tour is October 25-29, 2009 ($1900 including lodging, tasting fees and meals). 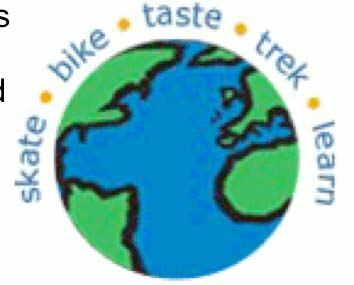 An Oregon Multisport Wine Adventure is offered August 23-27, 2009 ($1800), which combines walking, canoeing and bicycling with visits to wine regions ranging from Eugene to the northern Willamette Valley to the Hood River appellation. A Burgundy Walking tour will be offered in 2010. For further details, visit the website at www.zephyradventures.com. Fetzers Return Ben and Jake Fetzer plan to make Pinot Noir from a 40 acre vineyard in Mendocino County, part of 1,500 acres acquired after the sale of the Fetzer Winery in 1992. The wine will be crafted by Greg LaFollette and will be dedicated to Ben and Jake’s father, Bobby Fetzer who died in 2006. 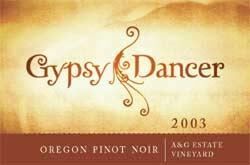 Gary Andrus Passes Away Gary Andrus was a much admired winemaker who leaves behind a legacy of three notable wineries, Pine Ridge in California, Archery Summit in Oregon, and Gypsy Dancer which produced wine from both New Zealand and Oregon. Last year, Andrus became ill and was unable to finish his Oregon wines from the 2007 vintage. In stepped winemaker John Grochau, who bought some tanks of Pinot Noir that would have ended up in Gypsy Dancer wines. Grochau Cellars 2007 Commuter Cuvee Pinot Noir is sourced primarily from the Chehalem Mountains and priced at only $12, this wine is a true recession buster. Profits from the sale of this wine are being donated to the Brett Jarolimek Memorial Fund (Brett was a noted cycling advocate in Portland when he was struck by a truck in October 2007 and died). The wine is available from Story Teller Wine Company (www.storytellerwine.com). Grand Cru Estates Opening A 17,000 square foot gravity-flow winemaking facility will open in the summer of 2009 in the northern Willamette Valley. The private “members only” club will offer wine enthusiasts a handson opportunity to make their own premium Oregon Pinot Noir with the personal assistance of the winemaking team of Laurent Montalieu (Soléna) and Tony Rynders (formerly Domaine Serene) who have been in the winemaking industry for three decades. Participants can be present at every step of the way from harvest to bottling or simply come and enjoy the winery, conference center and gardens for their own use. The facility includes high-tech conference rooms, a professional kitchen (consulting chef is Phillipe Boulot of the Heathman Restaurant and Bar), solar power, and organic kitchen garden. There are a variety of membership levels available. For more information or to request a membership prospectus, visit www.thegrandncruestates.com. J Vineyards & Winery Launches New Food and Wine Tasting Program J’s Bubble Room is a private tasting salon with seating and table service complete with resident Executive Chef Mark E. Caldwell’s new three-course menu which replaces the previous menu of three smaller flights. A total of seven wines are offered including Chardonnay, Pinot Gris, Pinot Noirs, Brut Rosé, Late-Disgorged Vintage Brut and Ratafia dessert wine. The new tasting costs only $60 per person and is available Friday through Sunday from 11:00 AM to 4:00 PM. J has also introduced a premium-level, wine-only tasting at its Signature Bar featuring J’s outstanding high-end small-lot single-vineyard Pinot Noirs and Late Disgorged Vintage Brut sparkling wine. For the ultimate food and wine tasting experience, the Essence program is offered on Thursdays. By appointment only, the program offers a private tour of the winery and vineyards along with a seven-course fine dining meal in the Bubble Room ($200 per person and limited to 8 guests). 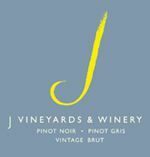 J Vineyards and Winery is located at 11447 Old Redwood Highway in Healdsburg. 1-800-JWINECO. Flavors of Carlton Good fun and wine on Saturday, March 7 from 5:00 to 9:00 PM at Scott Wright Cellars in Carlton. This event offers an opportunity to taste wines from Andrew Rich, Soter, Soléna, Belle Pente, Elk Cove, Raptor Ridge and others. A collection of Eyrie Vineyards Pinot Noirs crafted by recently deceased David Lett has been donated by Lett’s family, other winemakers and private collectors and will be auctioned. The event will benefit the nonprofit Carlton Together Cares which offers free and low-cost programs for children, teens and their families. $50 per person. For reservations, call 503-852-4405 or write info@carltontogethercares.com. Wine Judge Reliability Questioned Robert T. Hodgson reported a research study, “An Examination of Judge Reliability at a Major U.S. Wine Competition,” in the Journal of Wine Economics, Volume 3, Issue 2, Fall 2008. Wine judge performance at the California State Fair Wine Competition was analyzed from 2005 to 2008 using replicate samples. Each panel of four expert judges received a flight of 30 wines imbedded with triplicate samples poured from the same bottle. Between 65 and 70 judges were tested each year. About 10 percent of the judges were able to replicate their score within a single medal group. Another 10 percent, on occasion, scored the same wine Bronze to Gold. Judges tend to be more consistent in what they don’t like than what they do. An analysis of variance covering every panel over the study period indicated less than 50 percent of the panels presented awards solely on wine quality. Read the whole article at www.wine-economics.org. New Winemaker at Keller Estate Ross Cobb has been working at several notable wineries throughout the Sonoma Coast (Coastlands Vineyard, Flowers Vineyard & Winery) after graduating from the University California Santa Cruz with a degree in environmental science and sustainable agriculture. Read more at www.rosskcobb.com. He is the new winemaker at Keller Estate and will be pouring at the upcoming World of Pinot Noir in Shell Beach, March 6 and 7, 2009. Kosta Browne Using Kodak Anti-counterfeiting Labelling The problem with wine counterfeiting has become more common, especially with wines sold at auction. The Kodak Traceless System is an ultra covert technology using forensically invisible markers that can be added to printing inks, paper or other packaging elements during the manufacturing process. The markers are only detectable by Kodak Traceless pen readers, made available to wineries like Kosta Browne. Other wineries that are incorporating Kodak’s technology include Colgin Cellars, Vineyard 29 and Staglin Family Vineyards. Pinot Noir Acreage According to Wines & Vines (October 2008), there were 8,179 acres of Pinot Noir planted in California in 1998 and 24,427 acres in 2007. No other grape variety can match this increase of 300% (Cabernet Sauvignon plantings increased 250% to 74,643 acres during this time interval).